Dogs have long been used to sniff out explosives and drugs and even track down criminals. Now researchers are finding that dogs can be trained to be useful in the medical field. From detecting seizures to helping patients suffering from post-traumatic stress disorder, dogs are making themselves useful in many ways. Dr. Rebecca Johnson, director of the Research Center for Human-Animal Interaction at the University of Missouri, says that dogs can use their acute sense of smell to identify certain cancers. She notes that dogs have been trained to pick up bladder cancer cells by sniffing urine samples. Other researchers have found that dogs can identify lung and breast cancers by smelling patients’ breath. There have even been cases where dogs can detect melanoma by licking their owners’ skin! Surprisingly enough, no breed of dog has the ability to sniff out disease better than another. Most studies have involved a number of different kinds of dogs, and researchers show that a miniature poodle, for example, had a sense of smell that was as good as the bloodhound’s. Experts believe that there seems to be an enormous variability within breeds and on individual levels. Again, due to a dog’s keen sense of smell, they can be trained to detect low blood sugar levels in diabetics by picking up scents that humans wouldn’t even notice. According to Dr. Johnson, upon detection, the dog may nudge the diabetic, fetch a blood-glucose monitoring kit, or call 9-1-1. Given that most telephones aren’t user-friendly for dogs, trainers have had to use more dog-friendly devices, such as step lights and pull cords. Though dogs seem to be the main pet with the ability to diagnose disease, they might have to start sharing the spotlight with cats. Earlier this year, a 36-year-old Wisconsin resident named Amy Jung was saved from a diabetic seizure by her 21-pound cat named Pudding. Pudding sat on Jung’s chest as she was sleeping and pawed at her face and bit her nose in order to wake her when she started to have a diabetic seizure. What’s most surprising about the story is that Pudding saved Jung a mere hours after she adopted him from a local shelter. Many dogs are now being trained to serve as companions to war veterans suffering from post-traumatic stress disorder. Dogs can help ease anxiety and panic that often comes with PTSD. Dogs can be trained to wake their owners if they are in the midst of a nightmare or flashback. Many of those suffering from PTSD feel uncomfortable in crowds and are easily startled. Service dogs can serve as a buffer in crowds, and they can help give their owners confidence so they can get back out in the world. Experts say that the most difficult part of training dogs to alert their owners if something is wrong medically is not teaching them to warn of a medical crisis — they can either do this on their own or they can’t — but training owners to recognize their pet’s signals. This doesn’t mean that you need to rush off to the doctor every time your dog looks at your strangely, but if you sense that something might be wrong, it can’t hurt to make an appointment! Kitty Palooza comes to Santa Barbara! The Fourth Annual K-9 PALS Dog Festival and Great Ball Drop will be held at Chase Palm Park on Saturday, September 29, 11 a.m. –3 p.m. This is a great family and dog friendly event that benefits the homeless and abandoned dogs of Santa Barbara County. You’ll want to bring the kids — and your dogs — and enjoy the fun. All proceeds will go to support the K-9 PALS Medical Fund for the homeless and abandoned dogs of Santa Barbara County. K-9 PALS is the all-volunteer nonprofit organization that provides medical care, support, food, medications, dog behavior training, foster homes, adoption promotions, and advocacy for the dogs of Santa Barbara County Shelters, with the goal for every adoptable dog to have a chance for a loving home. This year’s festival includes dog agility exhibitions, dog behavior demonstrations, K9 police dogs, lots of wonderful dogs for adoption from local rescue groups and shelters, exhibits by area businesses and organizations with information about people, pet, and eco-friendly products and services, live music, and great food. Highlighting the day of festivities is the Great Ball Drop. At approximately 2 p.m., the Santa Barbara Fire Department will hoist 1,000 tennis balls up into the air and drop them over the specially designed prize board. This year’s Great Ball Drop Grand Prize is worth more than $750; 30 other prizes are all worth more than $150, and all are donated from local businesses. Raffle tickets will be available for purchase prior to the event; one ticket for $10 or 10 tickets for $90. Contact info@k-9pals.org for more information, or call (805) 570-0415. 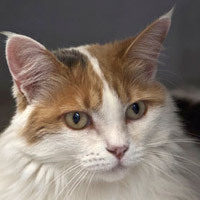 Sunny, a 2-year-old, long-haired calico, needs a new home as her elderly owner could no longer care for her. She is very affectionate, gets along with people, and loves being petted and pampered. Sunny is tired of shelter life and looking forward to roaming in an indoor home of her own where she can reign as the only feline in your life. Presently, Sunny spends most of her time in the ASAP reception area, greeting visitors. Animal Shelter Assistance Program (ASAP) is a volunteer-based, nonprofit organization that takes care of the cats and kittens at the Santa Barbara County Animal Shelter. ASAP provides humane care for these animals and works to eliminate the practice of euthanizing them for reasons other than serious health or behavior problems. The following is included in the adoption fee at ASAP: Spay or neuter surgery, flea treatment, vaccinations, microchipping, health evaluation, including testing for feline leukemia (FeLV) and feline immunodeficiency virus (FIV). Cats thought to be 10 years or older receive a full blood panel evaluation, thus assuring that the cat is indeed healthy and adoptable; medical and drug coverage through ASAP’s vet for two weeks beyond adoption, if necessary; temperament evaluation; and cat carrier (you can save the county money by bringing your own).